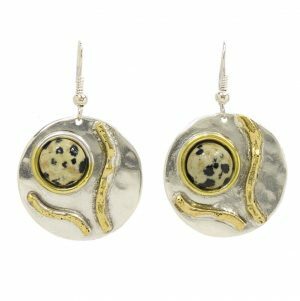 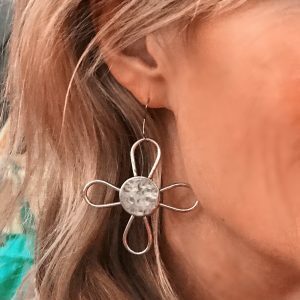 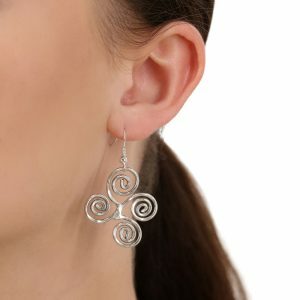 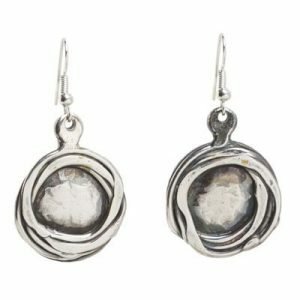 Gorgeous beaten silver double drop disc earrings with a central black stone finished with a hypoallergenic Hook. 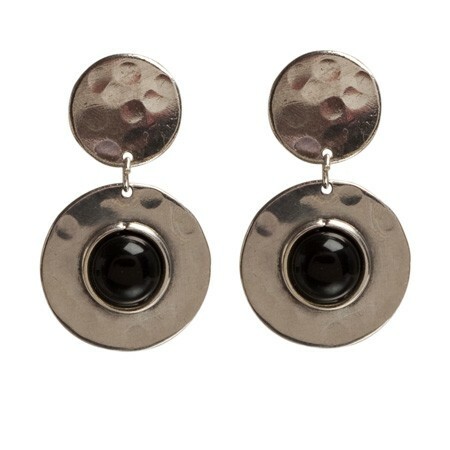 Made entirely by hand by a group of artisans in South Africa. 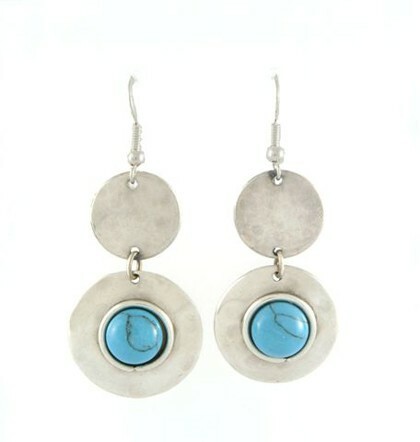 Please note that the hook earrings will resemble the image of the turquoise Clifton earrings and not the black Clifton stud earrings shown in the main image.